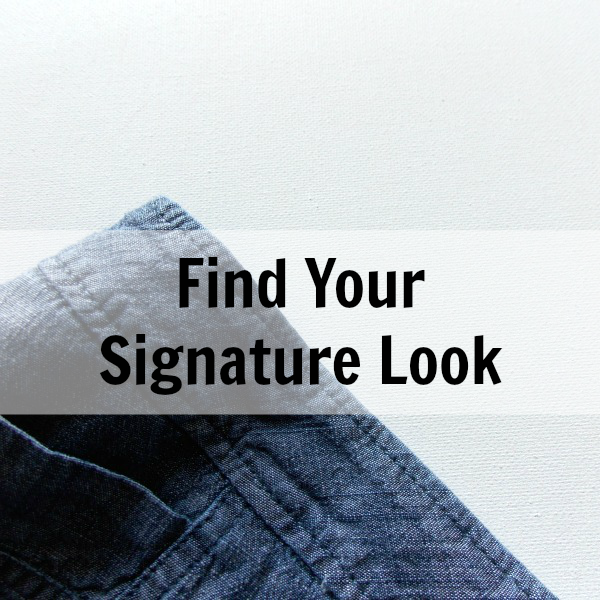 Do you know what your signature look is? If your friends call to ask you to join them for an impromptu outing in ten minutes but you're not ready; what is the first thing you pull out of your closet to wear? That is your signature look. Your signature look is most likely the clothes you wear the most often, that feel the most you and fit the best. That's the simplicity of a signature piece. And when you know what it is, it releases you to gather more pieces like that and create a whole wardrobe around your signature look. Wearing it will make you shine and people will recognize you by that look. Right now, my signature piece in the Fall is usually: jeans, shirt, cardigan, scarf and boots. Some of my friends would wear: maxi skirt, boots and vest; or pants and sweater; or jeans, sweatshirt, beanie. If you still don't think you have a signature piece then it's time to figure that out. Think about what you feel most comfortable in, what fits you the best, and what you love wearing. If you don't have something that fits all three categories, then choose one with two of them. Try it out for a week when you're going places with friends or work. Does it suit you and your lifestyle? Don't wear anything that feels awkward to you because people will feel your discomfort. Choosing a signature look helps you represent yourself. It gives you a boost in being the best you can be, whether that's a business woman, mom, photographer, blogger, entrepreneur or whatever you may do. Represent yourself!